Watch and listen as John Mackey and Dr. Marc Gafni explore a new vision of Success for the new millennium. 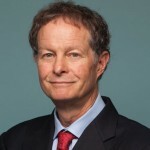 John Mackey is co-CEO of Whole Foods, and, together with Dr. Raj Sisodia, is co-author of Conscious Capitalism: Liberating the Heroic Spirit of Business. Marc Gafni is President of the Center for Integral Wisdom and author of Your Unique Self: The Radical Path to Personal Enlightenment. Marc John, good to see you. John Good to see you too, Marc. Marc Success 3.0. So we’re here to kind of map what success might look like, and I was thinking about it this morning as I got up. Do you remember Citizen Kane, that movie, Orson Welles? And that’s really where we are today. We’re kind of looking for what does success mean? How does it move us? How does it guide us? And we’re looking for success 3.0, meaning an evolutionary higher vision of success. So let’s start the conversation and maybe begin with ground zero and begin to see if we can map notions of success. We’ve had this conversation, and we’re really having this as kind of the ground conversation, the matrix conversation for our upcoming summit. So maybe take it away, take us to ground zero of traditional notions of success. What does that mean? What does the map look like? And we’ll go back and forth as we play. John Sure. Well, I think that every culture has its success somewhat bound by culture, bound by the values and aspirations of a particular society or culture, and that largely depends upon the altitude or the consciousness of where that society’s at. So if you look at a traditional, say, religious society, then success was generally someone who was obedient to the will of God. They were an individual who followed the traditions of the society and did those to the best of his or her ability, and were good citizens in those communities based on the values of those communities, and that would be considered a successful life. A successful person was one who would obey essentially the Commandments of the revealed religious truth. So we see that in a more traditional society that would be a definition of success. Marc So let me stay with you on traditional. Let’s kind of go each one. So ground zero would be – we’re going to success 3.0 – so ground zero we’re calling traditional. And you’re pointing out – so let me just go slow here – obedience is a big one. There’s a larger frame of value. John You could start before even traditional. John Do you want to start at traditional? Because you could go back pre-traditional. Marc Let’s start at traditional. Maybe we’ll do like a second mapping. First let’s start at ground zero, which I think you’re pointing out that’s really important, that ground zero actually starts before traditional. Marc Really important point, so let’s do that. Let’s come back to traditional. Give us before traditional.